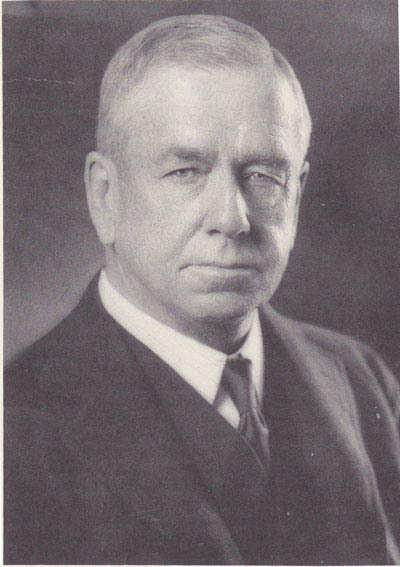 Frederic Moseley Sackett (1868–1941) was the US Ambassador to Germany in the critical early 1930s when Hitler and the Nazi party were rising to power. He was a close political ally of Herbert Hoover and became a Republican US Senator in 1924. As US Ambassador, he foresaw the threat to peace in Europe and developed a strong political relationship with German Chancellor Heinrich Bruning in support of his attempts to save the Weimar Republic. Frederic Sackett was born in Providence, Rhode Island, the son of General Frederic Moseley Sackett, a wealthy wools manufacturer, and Emma Louisa Paine. He graduated from Brown University and Harvard Law School. He married Olive Speed and, after practising law in the 1890s, turned to the management of his wife's extensive family business interests, especially coal mining, real estate, and banking. A detailed account of his diplomatic career is given in the book, Ambassador Frederic Sackett and the Collapse of the Weimar Republic, 1930–1933 by Bernard V Burke (Cambridge University Press, 1994).